Behind the facade of the 6 huge monoliths, the Temple of the Sun lays incomplete as a shambolic graveyard of carved monoliths. 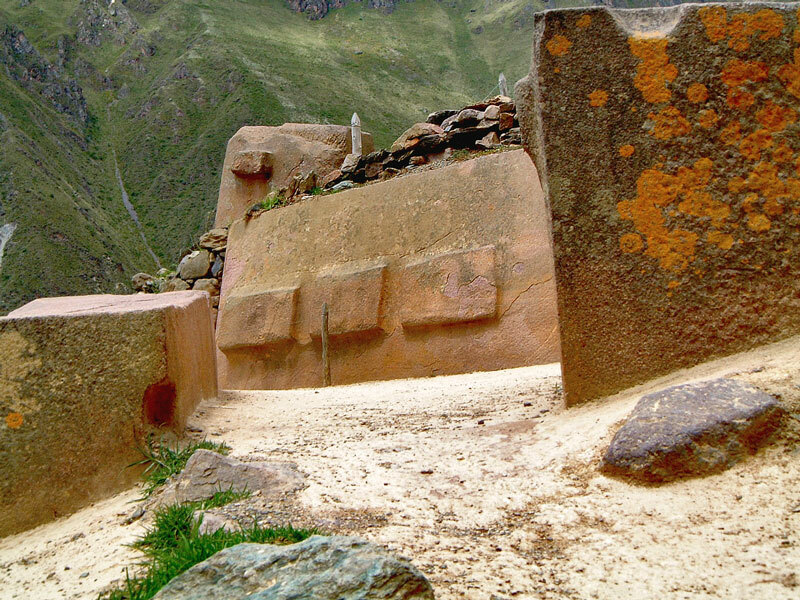 It is thought the the Inca were in the process of rebuilding this ceremonial centre when they were interrupted by the arrival of the Spanish Conquistadors. The blocks are massive and curiously carved, but it is hard to tell whether this was deliberate or if they were work in progress.